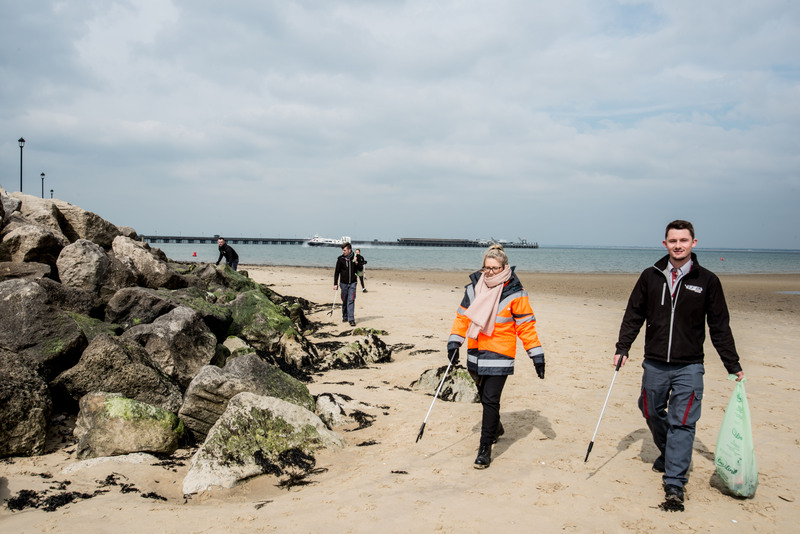 (12 April) Hovertravel staff started their beach clean initiative this week, with a team of seven staff working their way along the shore from the Ryde Hoverport to Ryde Beach. Equipped with litter pickers, eco-plastic waste bags and safety gloves, the beach cleaners spread out to search along the shore line for litter. A wide variety of waste was collected including the usual cans, water bottles, crisp packets and a large amount of unidentifiable plastic shards. The team also found frisbees, tennis balls and several lengths of wire and cabling.